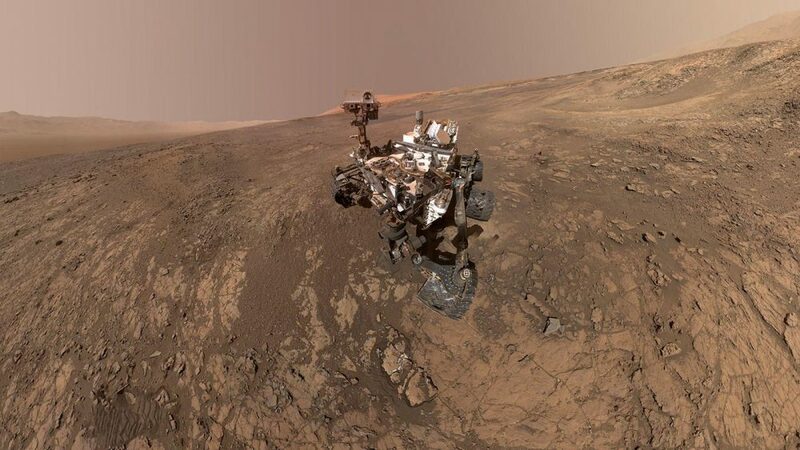 Clicking selfies is normal these days…Mars Curiosity Rover is no exception! It posted an epic selfie on social media this week to commemorate its final day working at the “Rock Hall” drill site, located on Vera Rubin Ridge. This final image is built by stitching together 57 different individual photographs snapped by the rover using its Mars Hand Lens Imager which is located on the end of Curiosity’s arm. NASA’s Curiosity rover has spent more than a year on the twisting ridge on Mars, After taking the epic picture, it moves on to new sights on the Red Planet. It has collected new samples from the Vera Rubin Ridge; it left the ridge and will now descend toward a clay region of Mount Sharp. Tucked Backed In The Hills of Wales, Royal and U.S. Air Force Jets Fly Low and Fast!